In an increasingly competitive global marketplace, employers across the United States spend countless resources each year at­tempting to set themselves apart and claim their share of available business opportunities. It is a constant struggle that involves the delicate balancing act of keeping existing customers happy while simultaneously trying to build new relationships. Against that backdrop, it is easy to understand why employers will do every­thing possible to protect the confidential information they have created and the goodwill they have built with their customers. Employees are a critical element in building that success, but they can also be well-positioned to undermine such efforts when a relationship turns sour or where they are courted by a com­petitor. Many employees believe that the relationships they have built with the customers are their relationships, and this can be problematic following a separation from employment. To pro­spectively address these issues, employers often turn to the use of restrictive covenant agreements to limit what their employees can and cannot do after the end of their employment. Although such agreements can be a useful tool, employers must exercise caution in structuring these restrictions to avoid potential pitfalls. The term “restrictive covenant” refers to any agreement by an employee to contractually limit their future behavior in some way. This could include things such as non-disclosure of an employer’s confidential information, non-solicitation of an em­ployer’s customers or employees, or assignment of intellectual property rights. By far the most controversial type of restrictive covenant is an employee’s agreement not to compete with the employer after separation of employment. Generally speaking, a non-compete agreement restricts an individual from becoming employed by or providing services to a competitor in the same industry as their former employer for a specified period of time after the end of their employment. From the employer perspec­tive, such agreements can be an effective way to protect their in­vestment in goodwill with customers and to prevent employees from using training and knowledge provided by the employer for the benefit of a competitor. Conversely, a non-compete re­striction can be a heavy burden from the employee’s perspective, as it can seriously hinder an individual’s ability to find new work in their chosen field. Utah: Passed the “Post-Employment Restrictions Act” ef­fective May 10, 2016, which limits post-termination re­strictive covenants to a maximum of one year in duration and provides that employers must pay all employee litiga­tion costs if the employer attempts to enforce an unen­forceable agreement. California: Enacted California Labor Code Section 925, which provides that employment agreements entered into on or after January 1, 2017 may not designate a different state as the selected choice of law/venue for any individual who primarily resides and works in California (e.g., des­ignating Delaware law to try to get around California’s statutory prohibition on non-compete agreements). If included, such provision is voidable by the employee and would subject the employer to payment of the employee’s attorney fees in any adjudication action. Illinois: Effective as of January 1, 2017, Illinois enacted the “Illinois Freedom to Work Act”, which prohibits em­ployers from entering into a covenant not to compete with any “low-wage employee”, defined as someone making the greater of the applicable minimum wage or $13.00 per hour. Given the wide range of approaches taken by different states, cre­ating a non-compete agreement is especially tricky for employers with multi-state operations. However, even employers operating in a single jurisdiction need to be aware of what is required in their particular state. Nebraska is a perfect example of this, as Nebraska does not allow “true” non-compete agreements (i.e., restricting an employee from working for a competitor in the same industry). The well-developed case law in Nebraska only permits employers to restrict employees in their solicitation of customers, and then, only if the restriction is limited to custom­ers with whom the employee did business and had personal contact. In addition, Nebraska courts do not reform non-compliant restrictions. This means that a simple mistake (such as trying to make a non-solicitation covenant applicable to all customers of the employer rather than only those with whom the employee personally contacted and did business with) would likely result in the entire restriction being voided if ever challenged in a Nebraska court. All too often, employers rely on restrictive covenant agreements to provide protection in the event of an employee separation only to find out that the restrictions they put in place do not hold up to scrutiny. To avoid this scenario, employers should regularly review their restrictive covenant agreements and make adjustments as necessary to account for changes in the law. Further, employers who begin operating in a new state should make a point to confirm what is and is not allowed in that state with respect to restrictive covenants. In some cases, a new agreement may need to be prepared to account for specific nuances under the law of a specific state. 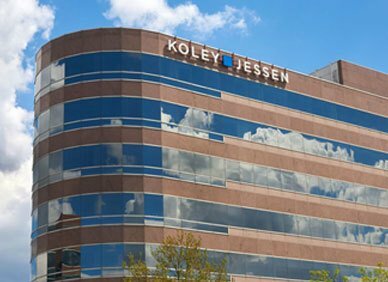 If you are looking to implement a restrictive covenant agreement to help protect your business, or if you have an agreement that is due for a routine compliance “check-up”, please contact one of the attorneys in Koley Jessen’s Employment, Labor and Benefits Practice Group to make sure your agreements are working for you and not against you.